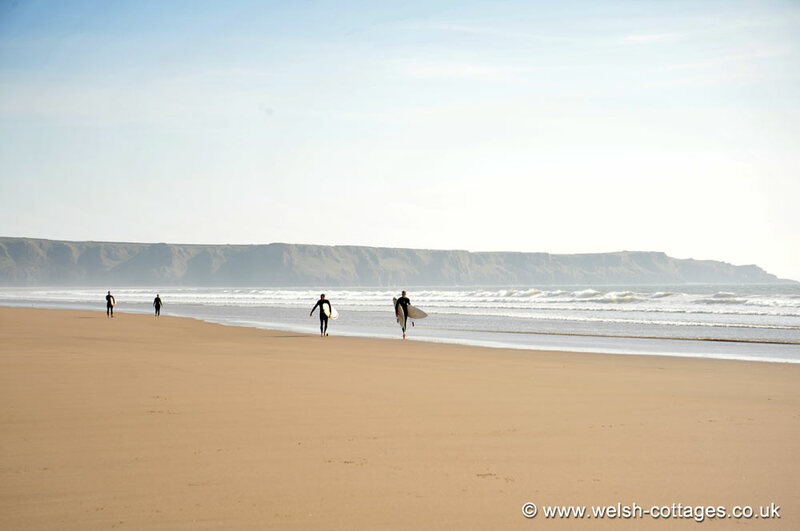 A very popular beach with surfers, Llangennith beach is situated on the eastern edge of the Gower Peninsula in south Wales. The beach is also popular with families during the summer months and is dog friendly at all times of the year. There is a walk of some 200 meters required from the car park. Surf report for Llangenith Beach..